Making it through the summer without a working air conditioning system isn’t feasible in some parts of the country. Even if you live in a temperate climate, your AC system will make you and your family much more comfortable at home. So before the weather really gets hot, take the time to clean and prepare your air conditioner. 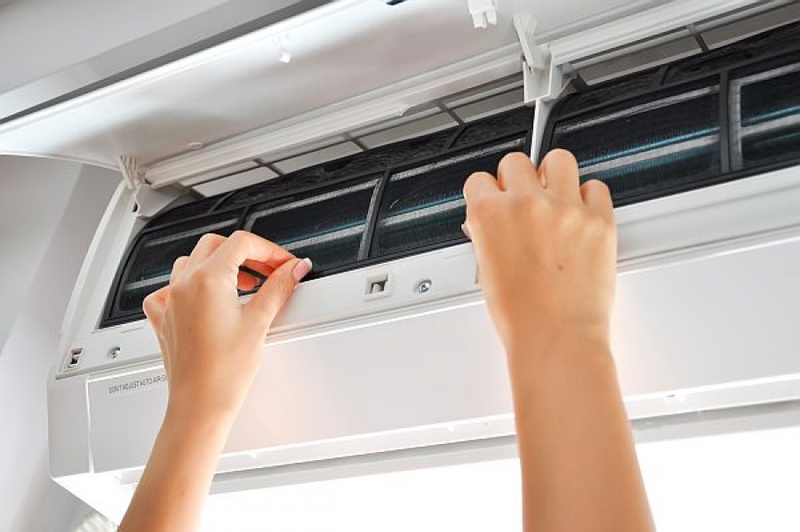 Use these 5 tips for getting your air conditioner ready for its busy season. As a homeowner, you won’t know everything there is to know about your air conditioning system. That doesn’t mean you can’t spot something that’s obviously wrong or out of place. Before summer begins, take the time to visually inspect your outdoor air conditioning unit. Look for signs of physical damage to the unit that may have occurred during the winter months like missing or poorly aligned panels. If the panel that covers the electrical system is out of place this is a fix that you should leave to the pros for safety reasons. You should also take the time to check that your refrigerant lines have proper insulation that hasn’t been damaged over the winter. Before you turn your air conditioner on you should inspect any power and electrical cords around your outdoor unit. If these are frayed or damaged, getting a service professional to make the necessary repairs is essential. You’ll also want to check your circuit breaker to make sure the proper electrical connections are powered on. Breakers may have flipped during the winter without you knowing it. It’s common to find debris covering your outdoor air conditioning unit’s housing and around the condenser coil that makes the unit work. Using a cover for your air conditioner in the fall and winter can help with this in the future, but if debris is a concern now, it should be cleared before you turn the unit on. Removing debris is a simple job – just avoid damaging your unit with gardening tools like rakes and shovels. Heavy gloves are your best bet for clearing debris around your condenser coil. Changing the air filter that makes sure you get clean air inside your home might seem obvious, but many people forget to do it around this time of year. Even if your air filter hasn’t been in use for the allotted time recommended by the manufacturer, a change is a smart idea between seasons. If there are any issues with your air conditioning unit that you’re not aware of a dirty air filter will only exacerbate the problem. Taking the time to clean and prepare your air conditioner on your own is a wise move, but not every problem is one that can be spotted by the average homeowner. Even if you’re diligent in your efforts, you’re not a professional who deals with air conditioner systems every single day. When the seasons change, getting a quick inspection from a professional service provider you trust is a wise choice. They can provide a deeper inspection and let you know if there are any concerns with your air conditioning unit. Your air conditioner might also get a clean bill of health, giving you a little peace of mind for the summer season. Following these tips to get your air conditioner ready for use. Basic maintenance tasks shouldn’t take you more than a few hours and performing them could save you hundreds in repairs.